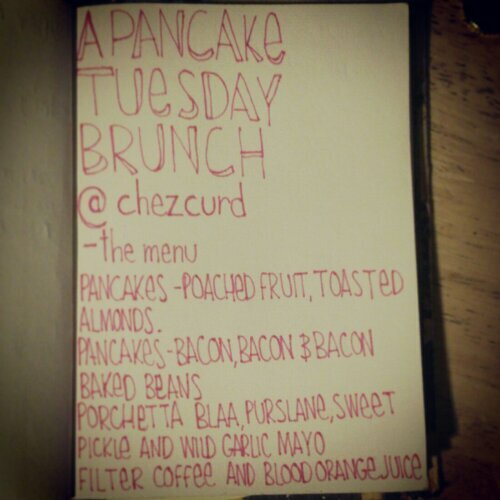 Pancake Tuesday shall have a brunch! I shall supply it! From 12-3 well be dishing up tasty food here at the apartment. Pop me a mail if you are interested in coming. I'll stick a suggested donation up for each of the items tomorrow! But consider it cheap and cheerful! Everyone should enjoy brunch! EVERYONE! Oh also we'll only have a limited amount of everything so just be prepared!